Bingo Night on the 2nd and 4th Friday of Each Month. Doors open at 6pm with a warm up game starting at 7pm. The event is open to the public and cash prizes will be awarded. Because of the cash awards, no one under the age of 21 can be admitted as required by the Nevada Gaming control Board. The $21 Minimum package includes a 3-card warm-up, a 10-card play package, and a blackout/progressive card. Additional cards may be purchased. A progressive jackpot is available each night. Complementary coffee and popcorn is available. Nachos, hot dogs, hamburgers, beer, wine, bottled water, and soft drinks can be purchased. 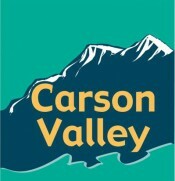 Each year the council selects up to 5 Bingo's to raise money for Carson Valley community service organizations.